The morning I spoke to Hannah Gill she was blocked up with a Canberra cold, she’d had a couple of days working from home, keeping her germs quarantined, but her passion for her profession still shone through despite the coughs and runny nose. Hannah has worked at Independent Property Group (IPG) since 2008 and is currently the Managing Director of Property Management. “I am deeply passionate about improving the standards and reputation of the industry,” Hannah says. “If it’s done well, and if you have got the right team, who are empowered and passionate about making a difference for people, then property managers can create really valuable relationships. Born in Darwin, Hannah moved to the ACT for grade 6 at Aranda Primary before moving on to Canberra High and Hawker College. A gap year in Broome was followed by a bunch of jobs back in Canberra while Hannah listened for her calling. Keen for a career rather than a job, Hannah jumped at the opportunity to join IPG; 10 years later she leads a team of dynamic professionals. “We look after what is often the owner’s biggest asset and what is the tenant’s home, we really try and make a positive difference in all those people’s lives,” Hannah says. “We try and be the right kind of middleman, communicating in the right way at the right time, and educating both parties minimises any conflict that people might be afraid of. Talking to Hannah there is a sense of gratitude towards the company she is a part of and the work she does. “I feel very fortunate. I feel like I have grown up here, and now to pass that on and lead a team, to see the people I work with every day grow and succeed is very rewarding,” she says. Hannah Gill going for a goal with Eastlake. Photo: Supplied. Hannah’s success as part of a team and in building relationships is influenced by her love of sport. 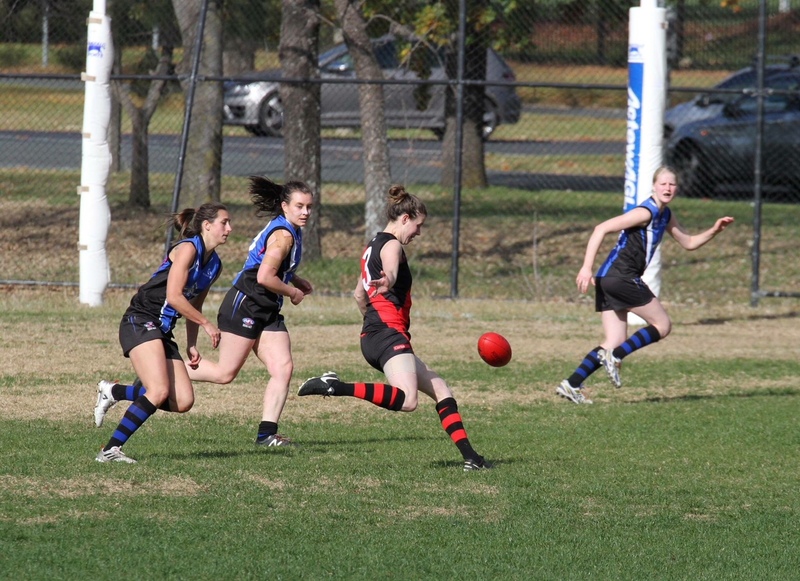 She grew up playing soccer but for the last 12 years has played Aussie Rules. Like her footy team, Hannah is always looking to the future and what’s around the corner that might help her clients, her team, her industry. “I am really excited about where we are headed as a business and our place in the industry,” she says. “Innovation and technology make this a really exciting space to be in. “Traditionally, as an industry, we have been task-based and operated manually, technology is starting to emerge and replace some of those lower value tasks. 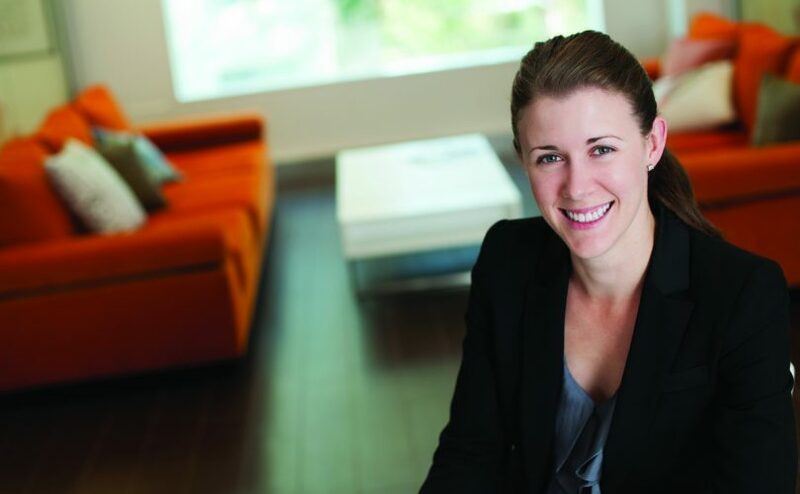 “What is really exciting for me and IPG is the opportunity to upskill our team and empower and train our people to focus on high-value relationships and creating wealth, opportunities and better experiences for our clients,” Hannah says. As our conversation ends I can hear Hannah is getting over her cold and keen to get back to the office and back on the footy paddock. Original Article published by Ian Campbell on the RiotACT.